Surfrider Foundation Australia is focusing on clean water in 2008, reminding beach users of the need for corporate responsibility for the ocean’s long term future. A TV ad, Turn the Tide, takes viewers to a site, www.surfrider.org.au/drain, where they can learn about the impact of stormwater pollution, sewer overflows, catchment flows, litter from beachgoers and boaties. 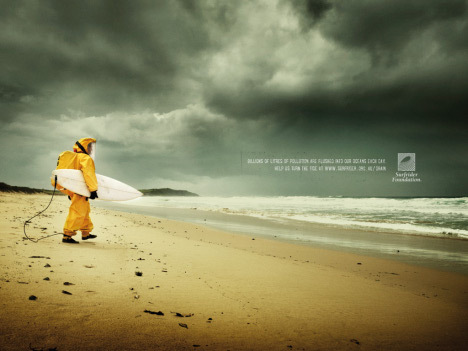 The Turn the Tide campaign was developed at Clemenger Proximity, Sydney, by creative director Glenn Chandler, copywriters Daniel Fryer and Neil Harris, art director Darren Martin. Filming was shot by director Bruce Allan via Flying Fish, with editor Joe Morris. Sound was designed by Andrew Stevenson at Pitchfork.